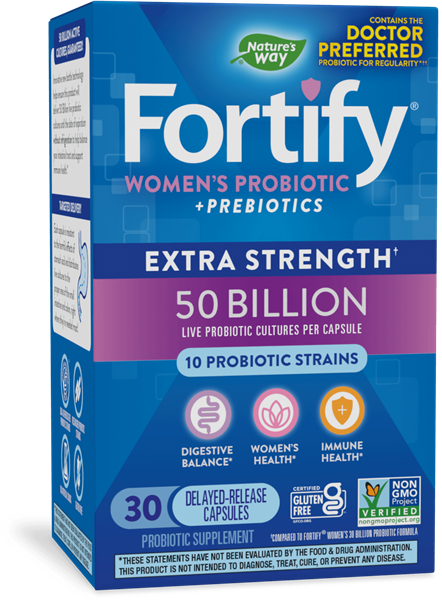 Extra strength† Fortify™ Women's Probiotic provides 50 billion live cultures for a woman's unique needs. 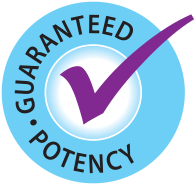 Beyond the researched strains NCFM® and Bl-04®, this extra strength† formula includes the researched Bi-07® strain. NCFM®, BI-04® and Bi-07® are trademarks of DuPont. In the USA, NCFM® is a trademark of the North Carolina Agricultural Foundation, Inc. NCFM®, BI-04® and Bi-07® are used under license.